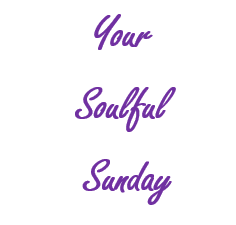 As our weekly series, Your Soulful Sunday continues, enjoy this article by Leigh Weingus and Mind Body Green. Would you like to bounce back quicker from life’s challenges? Do you life setbacks take forever to overcome? The following article from Leigh Weingus is very helpful. When tragedy strikes, surrendering to your sadness and staying in bed all day sometimes seem like the only option.But it’s possible to have an entirely different reaction to a serious setback: You can actually come back from something hurtful or tragic stronger and with a better perspective on life. This theory, a trending topic of discussion in the world of psychology, is called transformative resilience. And transformative resilience isn’t something you have or don’t have in your DNA—experts agree that it’s something you can learn. Understanding how transformative resilience works. When we get knocked down, it’s hard to imagine whatever difficult time we’re going through ever being something we grow from.